Russia’s Gazprom Global LNG has signed a deal with Egyptian Natural Gas Holding Company (EGAS) to supply 35 shipments of liquefied natural gas (LNG) by 2020, according to the company and Egypt’s Ministry of Petroleum. 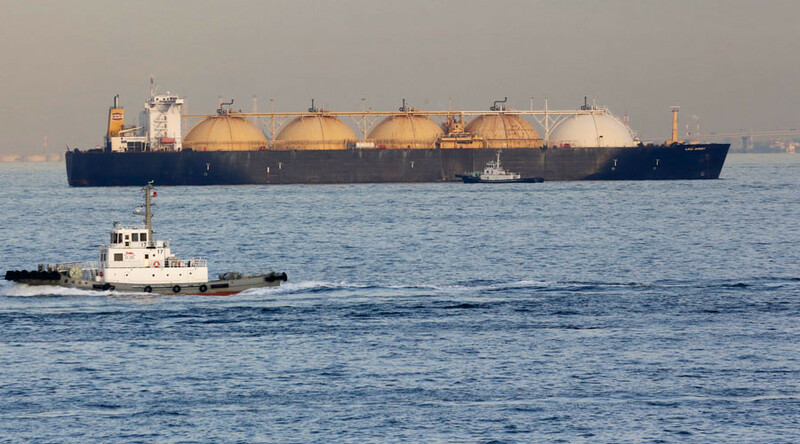 Gazprom Global LNG and EGAS have agreed on LNG sales, the company confirmed on its website Tuesday, adding that both parties were in the final stages of a long term commercial arrangement. 35 LNG shipments will be supplied to Egypt over 5 years, according to Egypt’s Ministry of Petroleum. Gazprom will start shipping to EGAS in the second half of 2015, with 7 cargoes arriving each year. EGAS has already signed contracts with Noble Group who will deliver a seven LNG cargoes and Vitol for nine shipments of LNG over two years. As the West escalates its sanctions rhetoric against Russia, Egypt has shown it wants to align closer with Moscow. Last month Russian President Vladimir Putin paid a two-day visit to Cairo, where he agreed to bring the two economies closer and start working towards using domestic currencies in trade settlements. Both sides then said that they wanted to open up new prospects for trade and investment cooperation and reduce dependence on the trends in the world markets. Last month Egypt agreed to establish a free trade zone with the Russian-led Eurasian Economic Union, which includes Russia, Armenia, Belarus, and Kazakhstan. Bilateral trade between the two countries has increased significantly over the past years, in 2014 it increased by almost 50 percent compared to the previous year, valued at more than $4.5 billion. They also agreed to create a Russian industrial zone near the Suez Canal as Russian businesses have stakes in more than 400 Egyptian companies. Russia and Egypt have also increased cooperation in agriculture, following Moscow’s one-year ban on EU, US, Australian, Canadian, and Norwegian food exports in August. The two countries agreed to work jointly on new investment projects, especially in transport, manufacturing and energy -both oil and nuclear.